If you’re looking for an activity holiday where you combine light exercise while leisurely taking in some of Europe’s most stunning scenery, why not consider a horse riding break? Whatever your level of experience, we have three very different, excellent value and beautiful horse riding holidays in Croatia, Ireland, and Sardinia. Staying 3 nights at the 4* Hotel Korana Srakovcic just 45 mins from Zagreb, our horse riding experience in Croatia comprises a riding school for beginners and treks through the 100-year-old forest and around the Plitvice Lakes National Park with its waterfalls and limestone canyons. Breakfast and evening meals set on a stunning terrace overlooking the Korana river are included. When you’re not out learning to ride or trekking, relax in the wellness centre and swimming pool. Available from €425pp. With nearly 2,000km of coastline, sandy beaches and a mountainous interior crossed with hiking trails, the rugged landscape of Sardinia is perfect for a 5-day horse riding holiday. 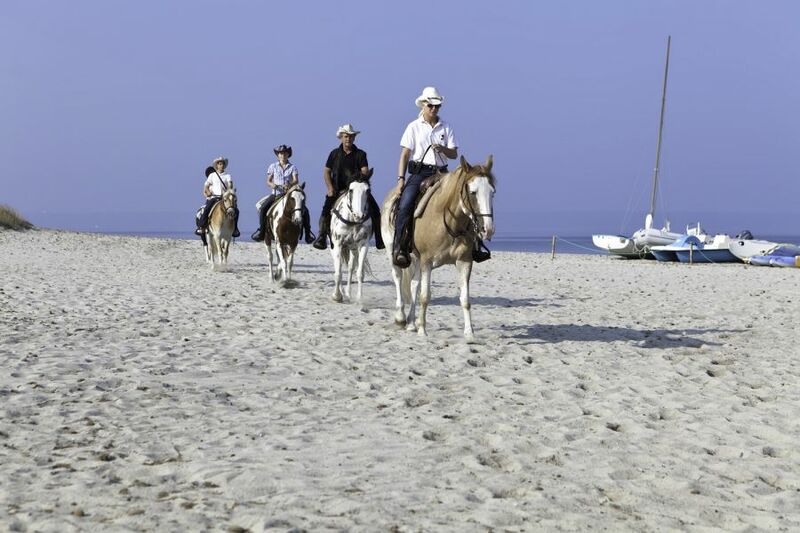 Our horse riding package in Sardinia including lessons on a half-board basis is both luxurious and great value. The Horse Country Resort Congress & Spa has four restaurants and 2 pools. Ideal for horse lovers, this break includes lessons, rides on the beach, through the pinewood forest, a trek to Pink Flamingo's pond and the ancient fishing village of Marceddi. 1.45hrs from Alghero Fertilia Airport, we advise renting a car for this unforgettable experience, available from €534pp. For more information on our horse riding holidays or for inspiration on where to take your next activity break in Europe, get in touch on info@activitybreaks.com.